John Hughes meets Comic Con in this novel about a teenager who is trying to get his best friend to fall in love with him that’s an “unabashed love letter and delightful inside joke for comic enthusiasts” (Kirkus Reviews). Here’s where the next panel would come. And in an ideal world, I’d ask Roxy herself to help me figure it out. She would sketch something, sometimes just a ghost of a line, and on the best of days, a dying ember would ignite and suddenly I’d know exactly what came next. I need her. I need her to help me figure out how to tell her I love her. I know what it has to feel like: epic. But also sweet. Like the romantic subplot of a superhero movie. Like that rainy, upside-down kiss in Spider-Man. But knowing what something is supposed to convey and actually getting it to do that is incredibly hard. Ask any writer. I try not to let this spigot of crazy flow out into my voice, but as it turns out, I don’t get the chance to say anything. “GrahamGrahamGraham, guess what? He’s coming!” Her voice is completely out of breath, like my stepsister sounds after a track meet, and I have absolutely no idea what she’s talking about. But I smile anyway. Probably one of the stars of the endless British TV shows she’s always binge-watching is going to be in a Broadway play. I should check my bank account to see if I can afford a ticket anytime soon. I grab my iPad and hit the banking app. “Who—” I start, but she doesn’t let me finish. I stop typing mid-password, stunned. “Coming?” Coming where? Surely not to Long Island. Or even anywhere in the eastern United States. Or anywhere at all that could be pinpointed on a map. Zinc hasn’t been seen, interviewed, or photographed since November 3, 1995. Not even five years ago when the reboot of The Chronicles of Althena happened. Not even six months ago when the film adaptation was finally announced, cast, and actually shooting. I zip over to my laptop and type in: z-men.net. First message of the forum, in capital letters, is exactly what Roxy has just told me. 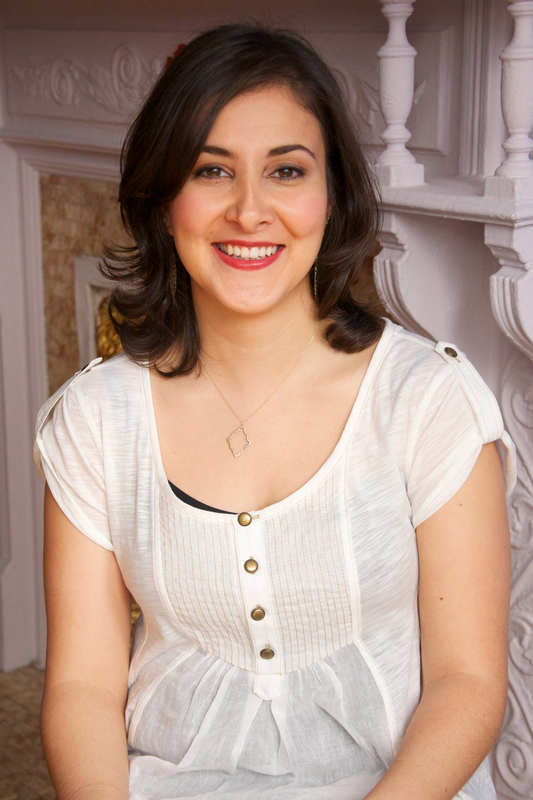 “It’s on Friday,” Roxana says, with an incredulous finality. “At three p.m.” Her voice is flat. In the meantime, I’ve frantically clicked over to the NYCC website, even though I’m positive Friday passes have already sold out (they have). Fine, I’ll take care of that later. Right now, I need to figure out how getting into the Q&A is going to work. “Right,” I say, my brain going into organizational overdrive. Once hologrammed thought projections become a reality, this will be the point at which a large spreadsheet will beam out of my forehead. “Nine a.m. tickets means we have to line up on Thursday night. Probably starting at nine p.m.” I have personally never done this before, but I know, generally, how tickets to hot panels work. If they’re handing them out first thing in the morning, the die-hard fans will line up as soon as the previous night’s convention closes. And really, who is Comic Con made of if not boatloads of die-hard fans? “We’ll figure it out, Roxy. I promise,” I say fiercely, my brain spreadsheet starting a whole new tab for how to get Roxy to NYCC on Friday. I feel a jolt in my heart at her implicit trust in me, and then, suddenly, my virtual spreadsheet is a siren, flashing blue and red. Comic Con? Robert Zinc? A weekend immersed in practically everything we love as individuals and together? This is it: the perfect opportunity to profess my unrequited love. The spreadsheet explodes into confetti. Because maybe if the gesture is grand enough, and perfect enough, it won’t be unrequited at all and I, Graham William Posner—lanky, pale, glasses, and with a penchant for fantasy worlds—will actually get the girl. 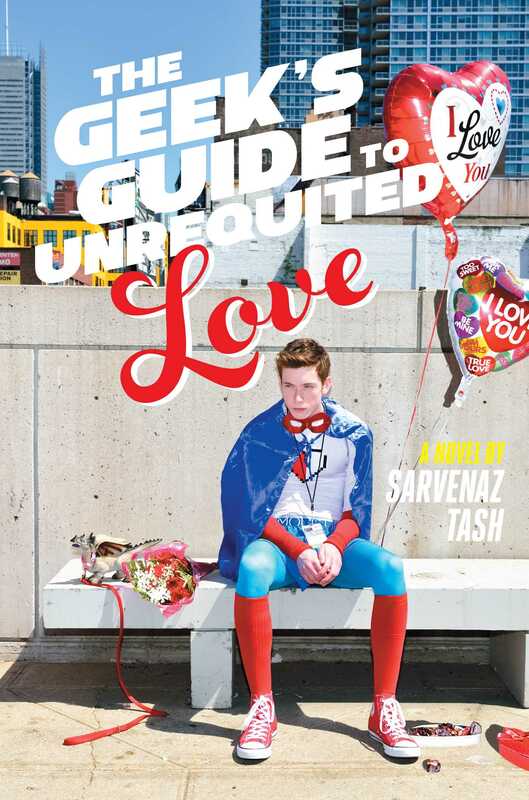 "With the exacting eye of an anthropologist and the generous heart of a true geek, Sarvenaz Tash has crafted something very special with The Geek's Guide to Unrequited Love. Hilariously funny, heart-wrenchingly true and tender, this is a book of super-heroic achievement." "The Geek's Guide to Unrequited Love promises romantic misadventures and pop culture references but delivers so much more. Never have I fallen in love with a group of characters so quickly. Funny, fast-paced, and full of heart, this is the kind of book you'll read in one sitting, and then be a little sad that it's over." "An unabashed love letter and delightful inside joke for comic enthusiasts who were fans long before Hollywood made geek culture chic. Best of all, the novel captures the joyous spirit of Comic-Con and fantasy's ability to provide its devotees with a community through which to contextualize their joys and sorrows. A lighthearted and engaging romp for anyone who loves Spidey and Gwen's upside-down kiss in the rain." "A quick and fun read." *"As Tash introduces a cast of charming, goofy, and diverse characters, she uses the hopeful voice of a young man in the throes of first love to gently poke fun at fandom while celebrating the passion and camaraderie of the community."